Norovirus, the dreaded “stomach flu” or “winter vomiting disease,” is spreading misery far and wide this winter. The Wall Street Journal (January 24) reported on multiple school closures across the US and unhappy households in which family members are falling sick in succession like a line of dominoes. Not a flu but a virus, norovirus has been called the “perfect pathogen1” because it is highly contagious and evolves more quickly than humans can develop significant immunity against it. Norovirus spreads through close personal contact with an infected individual; by ingesting contaminated food or water; or by contact with contaminated surfaces. It is the world’s most common cause of gastrointestinal illness, inflicting severe diarrhea or vomiting. Symptoms begin to appear from 12 to 48 hours after becoming infected with the virus and last a few days. Unfortunately, people remain contagious for several days after they feel better. As they resume normal activities, therefore, the lingering “perfect pathogen” may be transmitted easily to new, unsuspecting hosts. 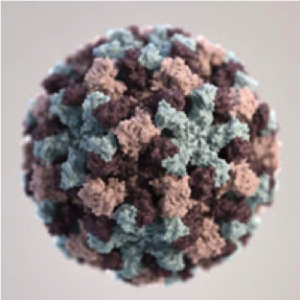 According to CDC, scientists at Baylor College of Medicine have successfully grown norovirus in cells, a major achievement 40 years in the making, and a giant step forward in understanding how to prevent and treat infections. Norovirus spreads rapidly through close quarters, including institutions, cruise ships and homes. It causes between 19 and 21 million cases of gastrointestinal illness each year in the US alone. The virus is responsible for at least 50,000 hospitalizations and between 570 and 800 deaths annually. Particularly vulnerable populations include the very young, the elderly and the immunocompromised. There is also some evidence that some people are genetically more vulnerable to the illness than others, but more research is needed to better understand this phenomenon.2 The Centers for Disease Control and Prevention reports a person in the US is likely to get norovirus about five times in their life. Norovirus activity peaks between November and April. Do not prepare foods for others while you are sick with norovirus or for at least two days after you feel better. Hydrate, hydrate, hydrate if you contract norovirus. Fluids are lost through vomiting and diarrhea. CDC recommends replacing fluids lost through mild dehydration by drinking oral rehydration liquids that can be purchased over the counter. Alternatively, sports drinks and caffeine- and alcohol-free liquids can be helpful. Severe dehydration, however, may require intravenously applied fluids in a healthcare setting. Call a doctor if you think you or someone you are caring for is severely dehydrated. If you or your loved ones contract norovirus, keep in mind it is extremely contagious. Limit contact with others. After vomiting or having diarrhea, immediately clean and disinfect affected surfaces. These posters provide step-by-step instructions, including directions for mixing a norovirus-busting solution of chlorine bleach and water. Wash soiled laundry (using chlorine bleach, the maximum available cycle length, and machine drying, if fabric instructions permit). I wish you a norovirus-free season! Chris Wiant, MPH, Ph.D., is president and CEO of the Caring for Colorado Foundation. He is also chair of the Water Quality & Health Council and a member of the National Drinking Water Advisory Council. 1 Hall, A.J. (2012). Noroviruses: The Perfect Human Pathogens? Journal of Infectious Diseases, 205: 1622-1624. http://jid.oxfordjournals.org/content/205/11/1622.full. 2 Nordgren, J., Sharma, S., Kambhampati, A.Lopman, B. and Svensson, L. (2016). Innate Resistance and Susceptibility to Norovirus Infection. PLOS Pathogens, http://journals.plos.org/plospathogens/article?id=10.1371/journal.ppat.1005385. 3 Barclay, L., Park, G.W., Vega, E., Hall, A., Parashar, U., Vinje, J. and Lopman, B. (2014). Infection control for norovirus, Clin Microbiol Infect 20: 731-740.